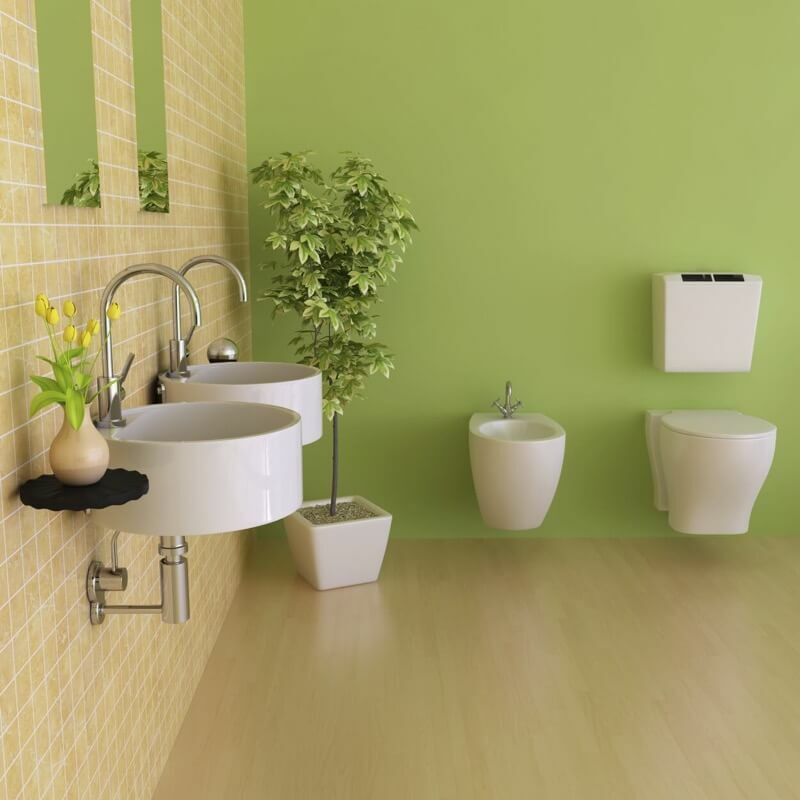 To prepare for a bathroom renovation, you will need to create a budget. The remodeling budget should include everything you want to add, remove or update in the bathroom. Use Pinterest or Instagram to get inspiration and ideas for materials and potential layouts. 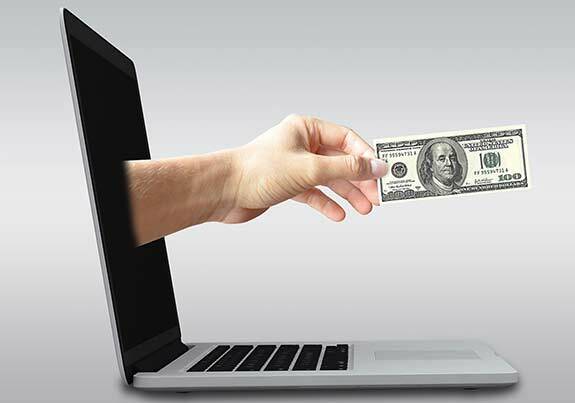 Both platforms have click-through capabilities to product pages that can help in getting real estimates of how much the project should cost. When it comes to home improvements, most people aren't quite sure about the industry standards in regards to the common etiquette used for tipping, offering food or beverages, use of the bathroom and other commonalities with the workers. 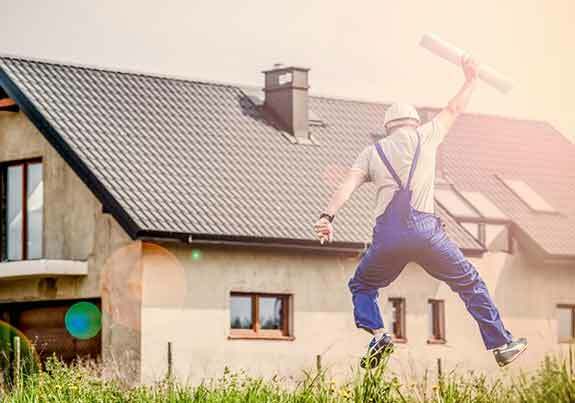 After surveying more than 400 people on the topic, we put together this comprehensive report to show how people feel about tipping one of the following workers: a general contractor, painter, electrician, plumber or decorator. 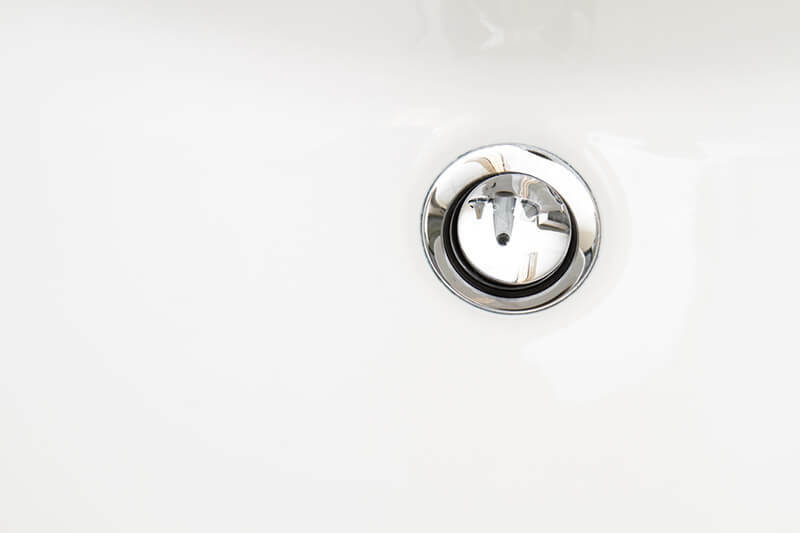 Buying a bathroom sink in 2018 doesn't have to be a difficult and expensive process, but first, you should take a minute to learn about all the different types of sinks and some important questions that most customers have about them. 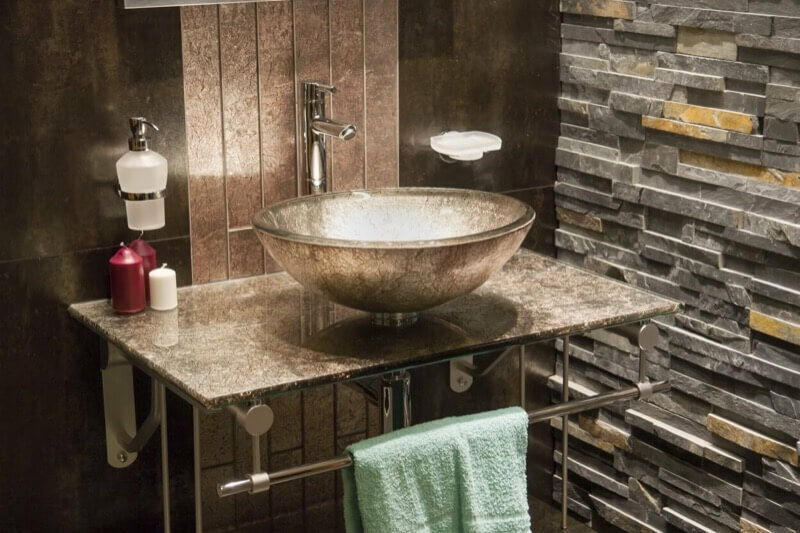 This article discusses everything you need to know: types of sinks, how to budget appropriately and save money, which materials to look out for, how to install it, and so much more. The difference between "pop-up" and "click-clack" waste is simply the way in which the drainage plug is opened and closed. When designing your bathroom, always keep safety in mind. There are always ways to make your bathroom more safe for yourself, your family, and guests. Many household accidents do happen in the bathroom so do your part to make sure that the risk is minimal in your home. Take a look at these tips to increase the safety in every corner of your bathroom. 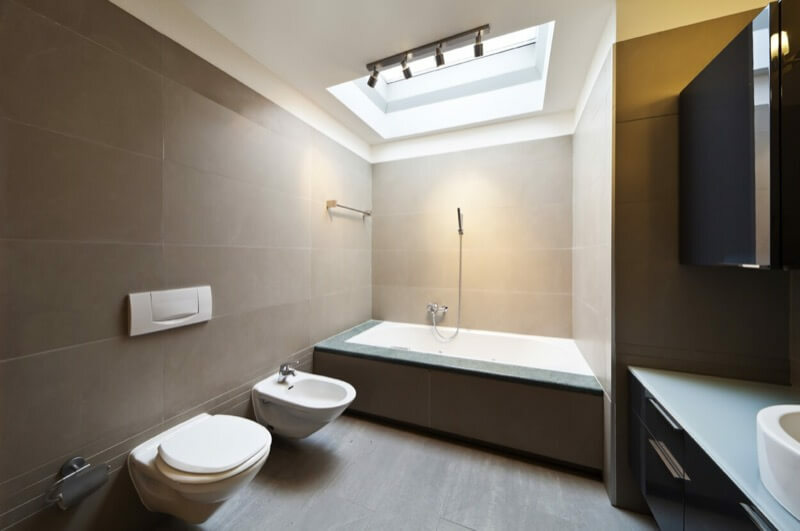 You can never have too many windows in your bathroom but how do you keep the light coming in while keeping prying eyes out? The answer of course is window treatments but with so many options out there you might be unsure which route is the right for you to take. Let's take a moment to look at all of the option and see how each one can improve your bathroom design. Keeping your accessories off your vanity can have many advantages. There are plenty of ways to add wall mounted accessory holders to your bathroom that will keep your soap, toothbrushes, and many other products out of your way but also within reach. Here are some of the most important benefits that might sway you to thinking about installing wall mounted accessory holders. A bathtub isn't just a bathtub. 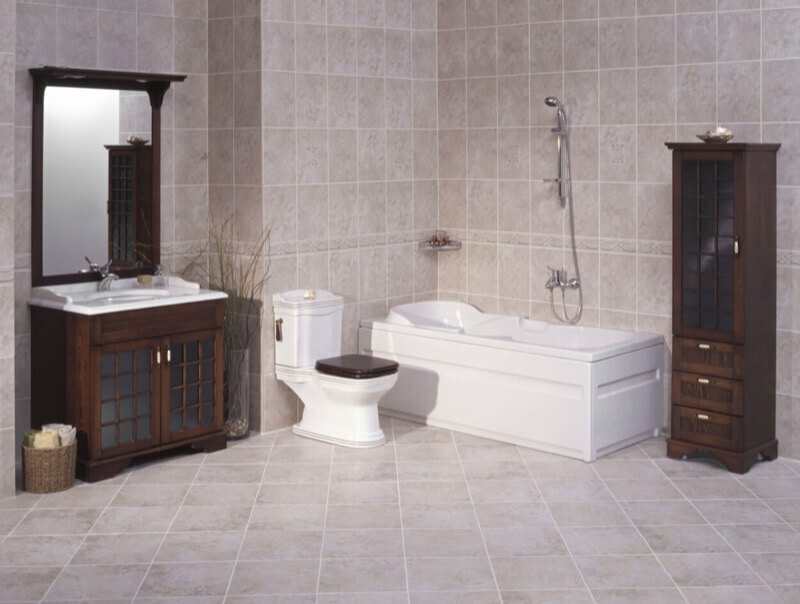 Like so many other things in your bathroom, you have countless options when choosing a bathtub. Here's a brief overview of some of your material options and the effect that they can have on your bathtub. Textures in your bathroom can add a layer of definition and depth to your overall design. 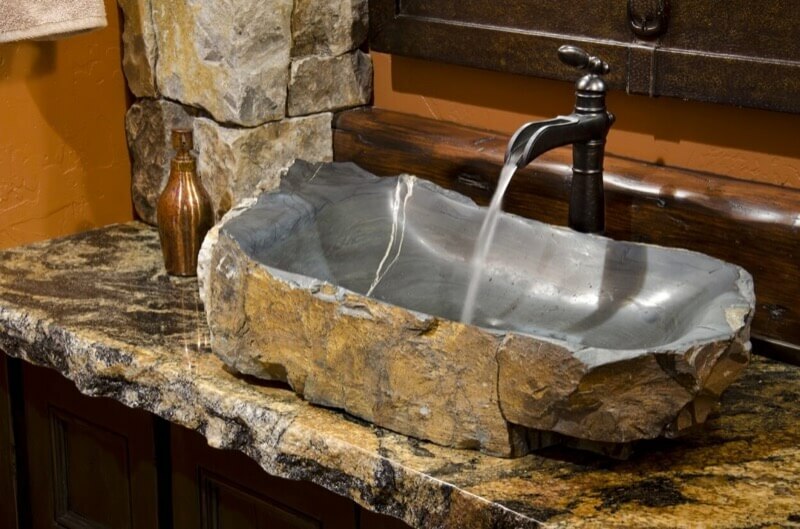 This can be achieved in numerous ways and can have a larger than life effect on your bathroom. There are several ways to include texture in your bathroom, including by using special tiles, adding rugs, and decorative curtains and drapes. Some important things to keep in mind when choosing textures include the following. When tiling your bathroom, you have many options to chose from. One of the most common is stone tile. 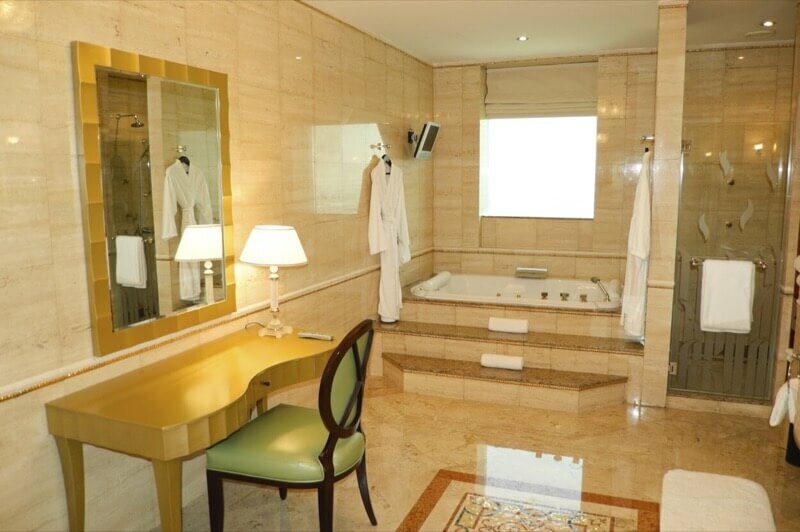 It creates an elegance that can't be matched by other types of tiles and if done right, the result can be breathtaking. When shopping for stone tile, the options can be overwhelming. 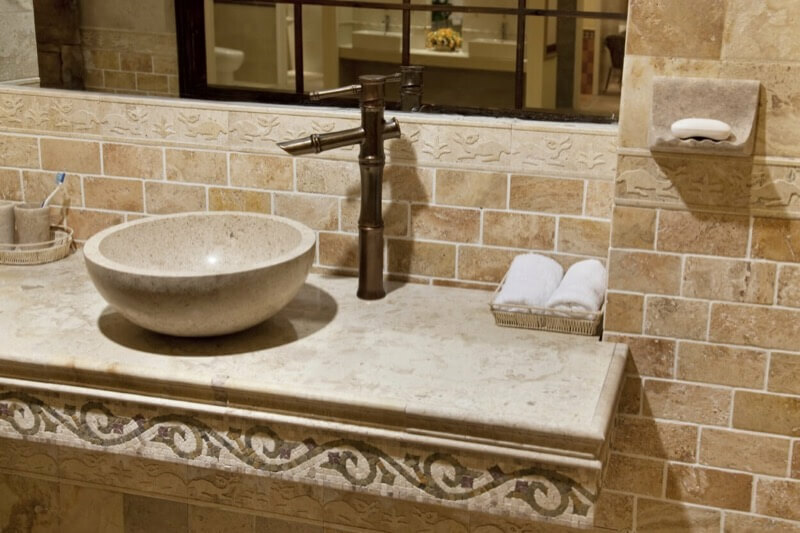 Use the following tips as a guide for narrowing down your options to find the perfect stone tile for your bathroom. If you are redoing your bathtub, you may want to consider having steps installed. There is not much extra work required if you are already having a new bathtub and encasement done. 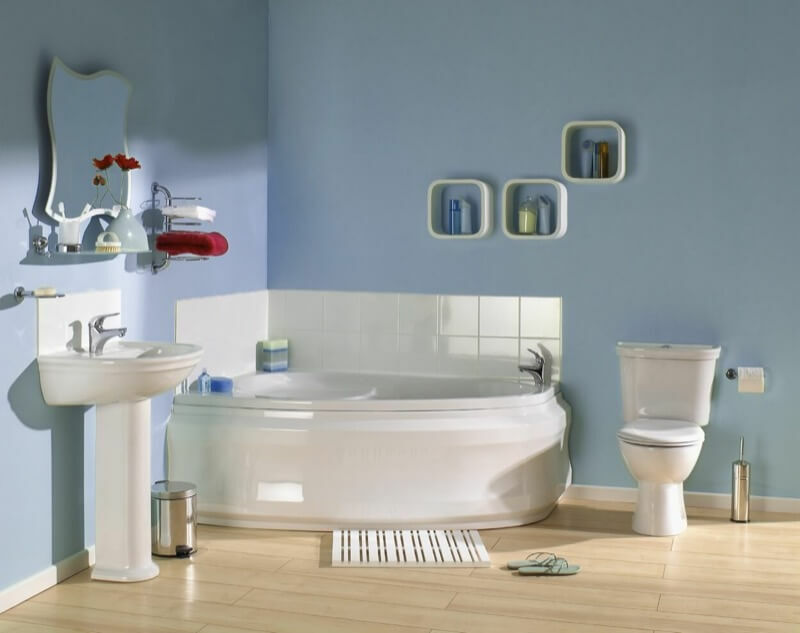 But the few extra steps to your bathtub can really have a dramatic effect on the overall look of your bathroom. 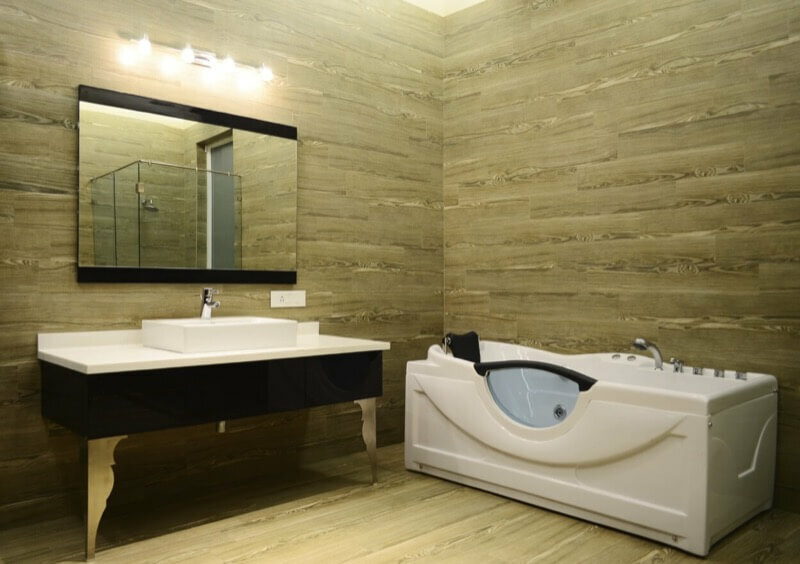 Here's a few things that bathtub steps can do for your design. You might feel like sloped ceilings in your bathroom is a curse. How are you going to paint them? How are you going to keep them from collecting dust in the corners? Is it going to cost more to heat or cool the room? 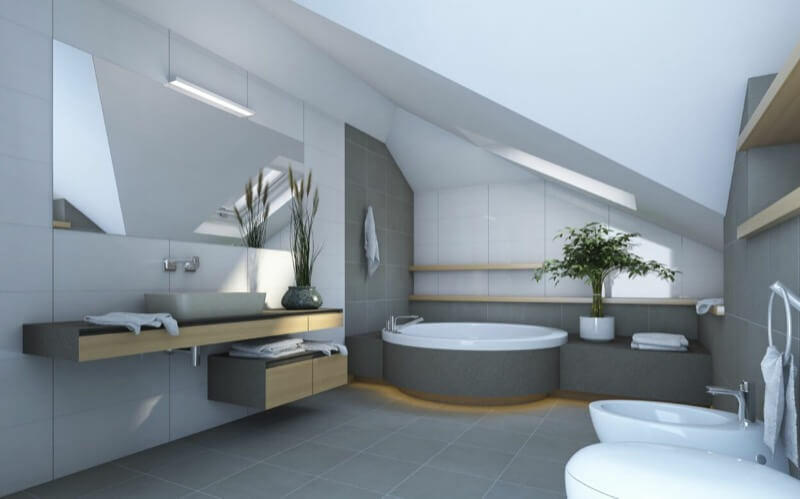 However, many people who don't have sloped ceilings in their bathroom might be envious of your situation. There is so much that you can do with your sloped ceilings that will create unique architecture and design in your bathroom. 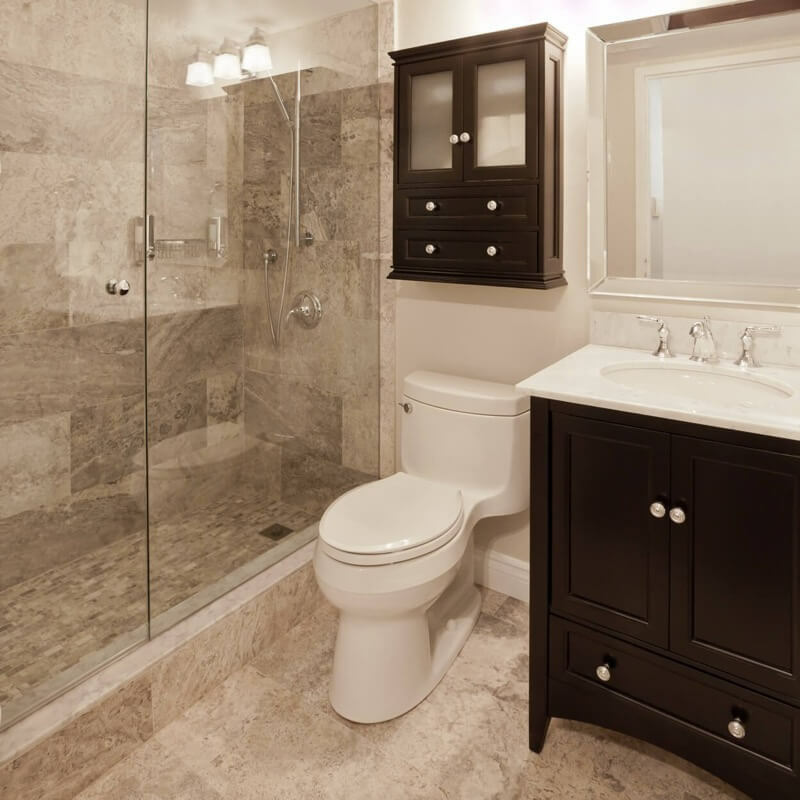 It's no secret that a full bathroom remodel can take a large amount of money to complete. While you certainly don't want to take the cheap way out in every aspect of your bathroom design, there are several ways that you can save money and still end up with a gorgeous final result. 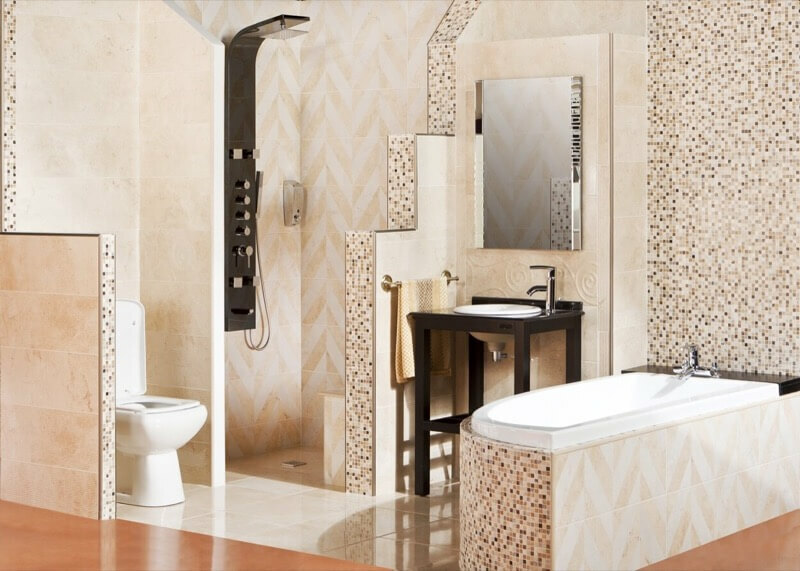 Take a look at these money saving tips to see where you can save in your own bathroom remodel. 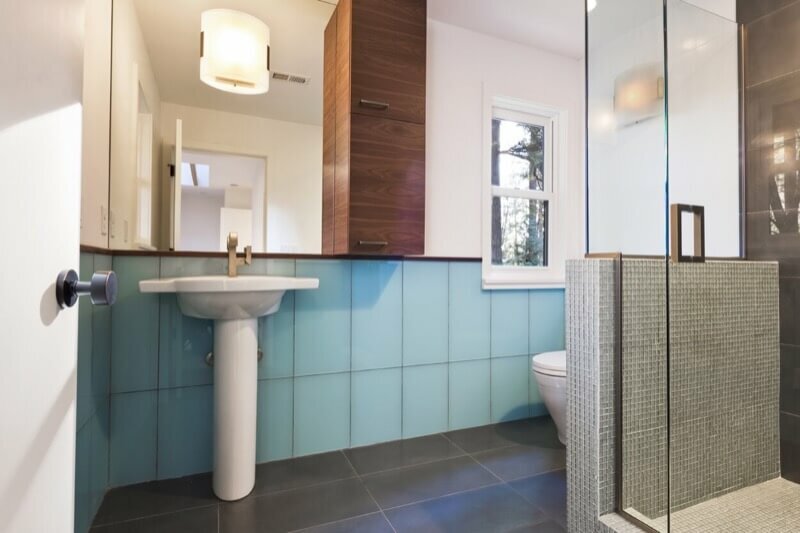 Many bathroom designs include what appears to be randomly placed tiles in different colors. The truth is that these are more planned than random. If you are installing your own tile in your bathroom, you need to have an idea of how you are going to place your tile before you start securing them. While you don't need to make a distinct pattern, have an idea of how many of each colored tiles should be in each line. 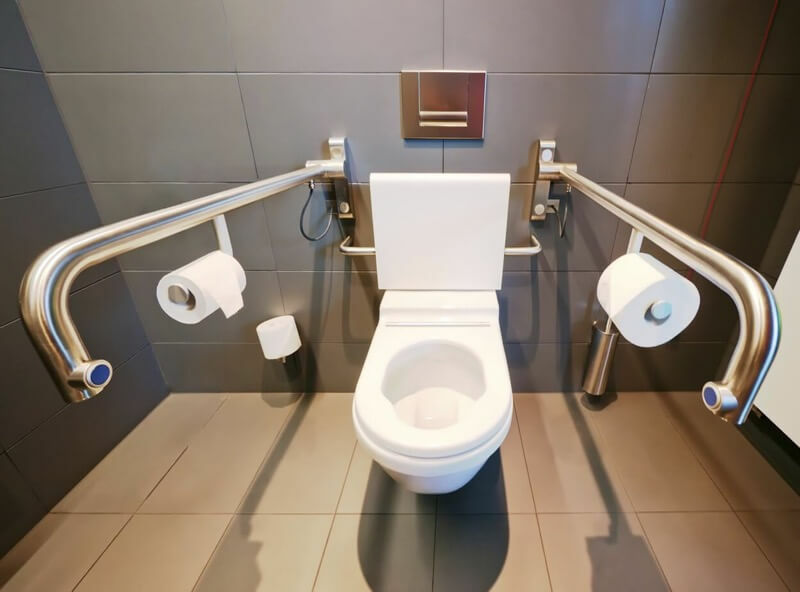 If you have a large business or run any other type of building that needs a public restroom, you might be more concerned with the business end than the design. 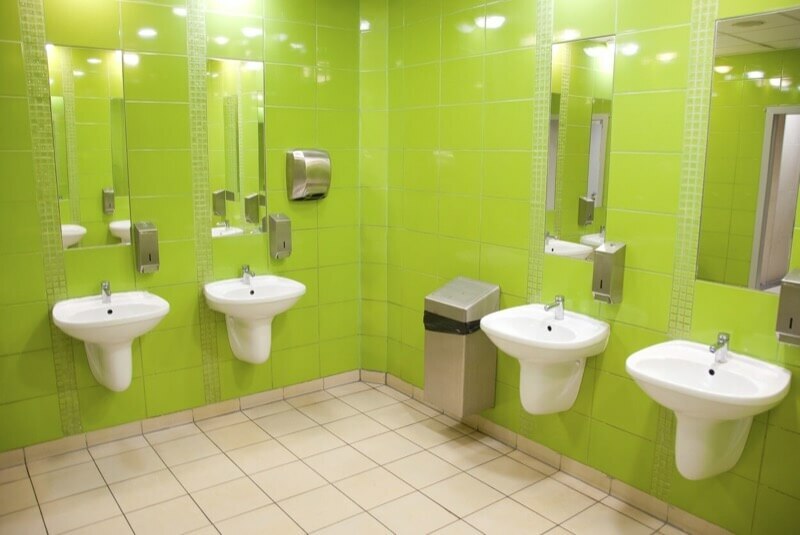 The overall design of your public restroom should be important to you as well, because based on your type of business, people may take the look and feel of your bathroom into consideration when reviewing your building. Every room in your house should have one single feature that serves as a main focal point. There should not be an exception in your bathroom either. But with certain rooms, it is obvious what should be the focal point. For example, a living room might be focused around a fireplace or entertainment center. A kitchen is focused around an island or seating area. One of the best was to add a spa element to your bathroom design is to include pebbles somewhere in the room. 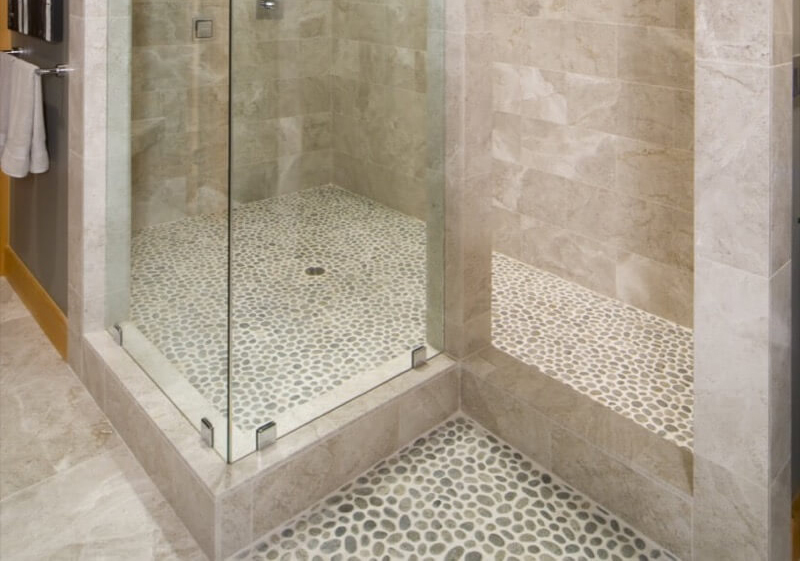 This can be done in a variety of ways but one of the most common is to install a pebble floor in your shower. This has become an easy do it yourself project with plenty of pre-fabricated tools that will help you completely change the look of your current shower. 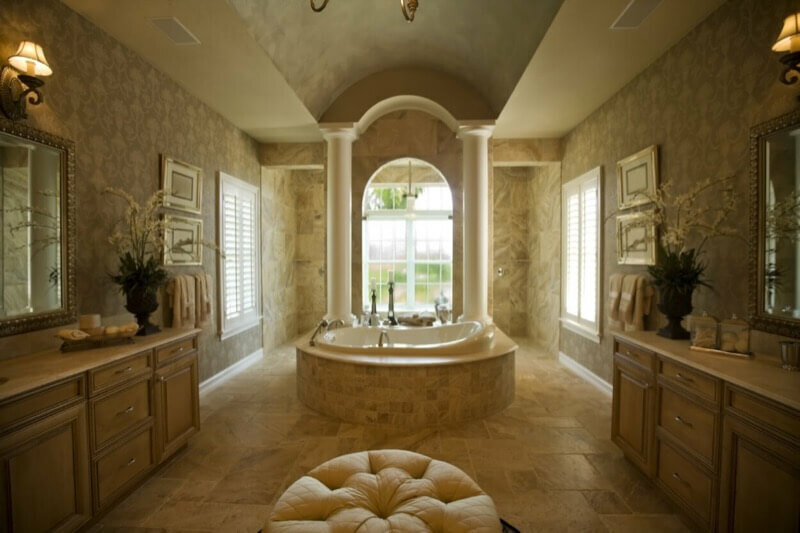 Here's a brief explanation on how to add a spa like feel to your bathroom. Pastels are often associated with spring, colored eggs, or new fashions. While they used to be a popular choice in bathrooms, the barely there colors became outdated and undesired by many bathroom designers. Recently though, the colors have been making a comeback as there are more modern ways to include the colors in your bathroom design. 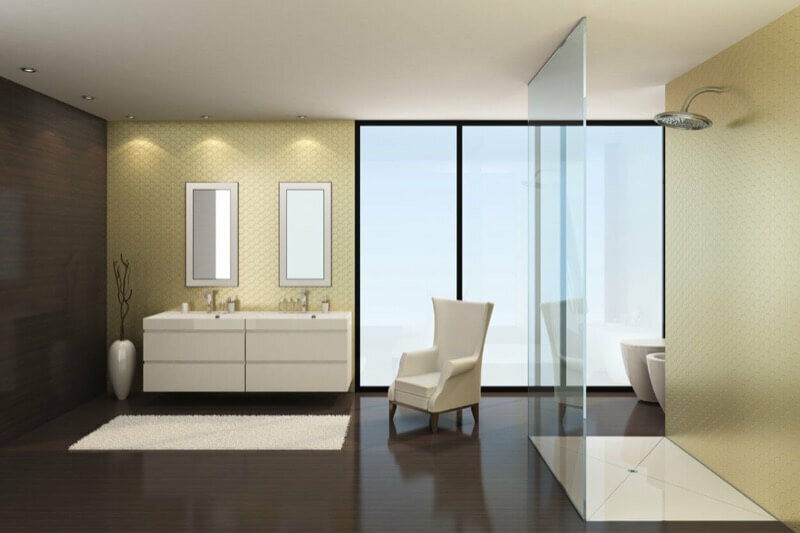 A bathroom mirror might not seem like it needs that much consideration but the type of mirror that you chose for your vanity can have a drastic effect on the overall feel of your bathroom. 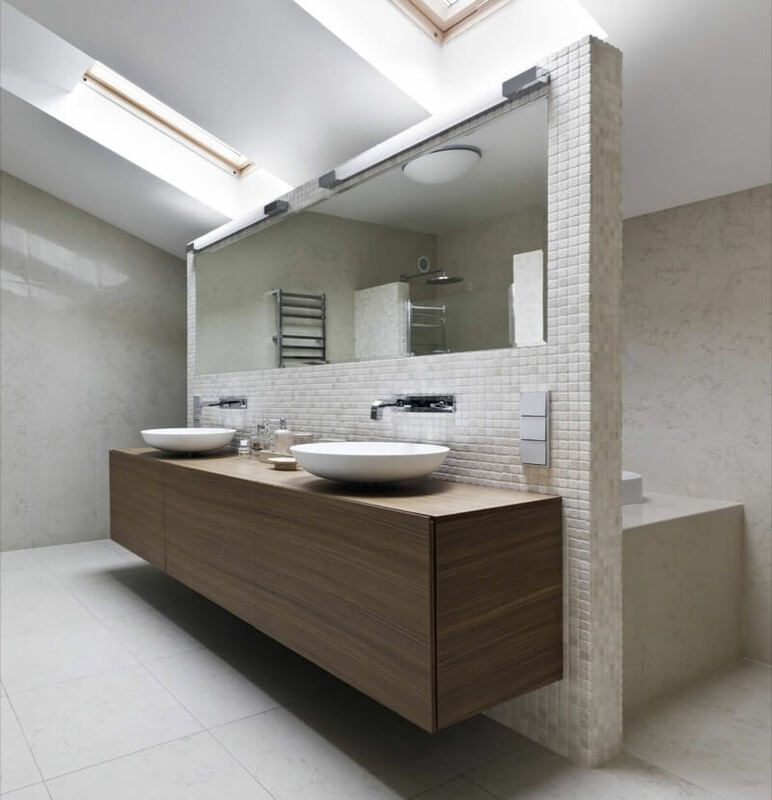 There are plenty of things to keep in mind when choosing your bathroom mirror. There are also plenty of options so once you have it narrowed down, you are sure to find what you are looking for. Consider the following when shopping for your bathroom mirror. It's a dream element in many bathrooms;a makeup counter can make a woman feel like she gets ready for her day just like Hollywood movie stars do. 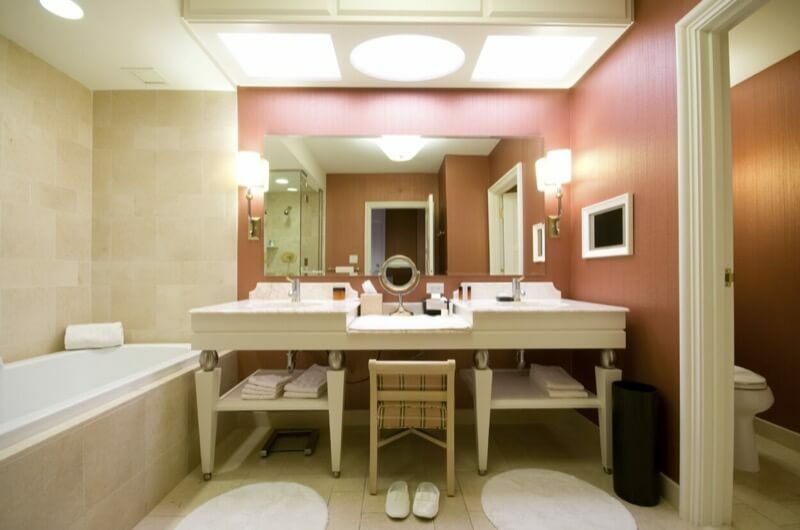 Many bathrooms don't include a makeup counter and at first glance, it might not seem like there is space for one. So how do you make your vanity dreams come true? It doesn't seem fair. By the time that you finally have enough money put away to built the bathroom of your dreams, you also have a few kids that seem to destroy everything that they touch. This doesn't mean that you have to give up on your dream renovation though. With a little tweaking, you can still have everything that you desire in your bathroom without having to live in fear that the kids will break something, stain something, or set it on fire. 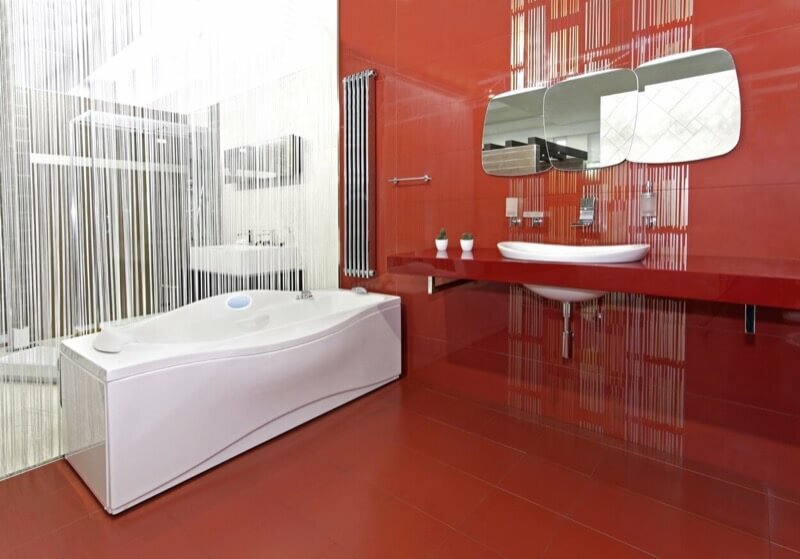 For many years, it was recommended by designers to use small tile in small bathrooms and large tile in large bathrooms. But the rules have changed and now large tile can have some great visual effects on your bathroom that you might be interested to learn. Large tile can be used in narrow bathrooms that appear cramped or tight, even if there's plenty of space. Most don't consider adding metallic colors to their bathroom. They might be concerned that the design will come off too flashy or tacky. 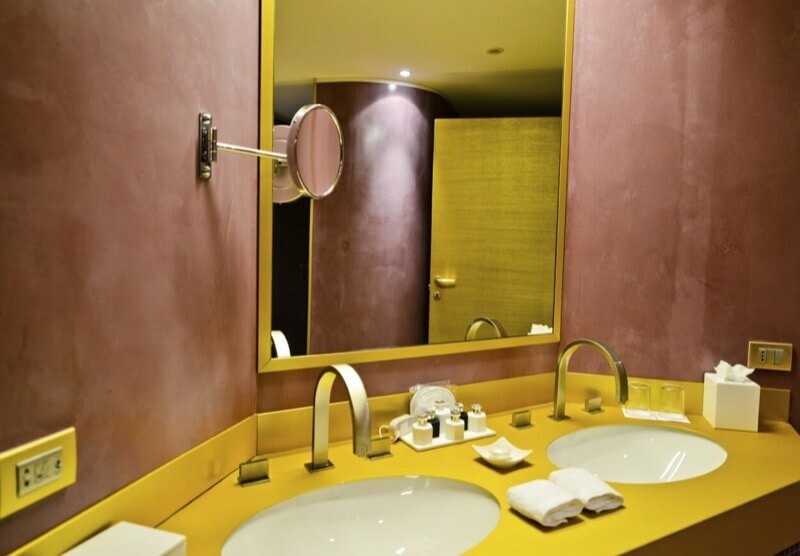 But if metallic colors are added correctly, they can be a great way to add some fun personality to your bathroom. Here are some ways to add gold, silver, or bronze to your bathroom. So you're designing your dream shower and you're surprised that it's harder than you thought it would be. There are so many questions to answer and choices to make that the process becomes more overwhelming than enjoyable. If you aren't sure about what you should be considering when it comes to designing your shower, here's a quick guide to refer to. A bathroom needs plumbing and electrical work of course but what about adding some modern technology touches? If you enjoy watching the news in the morning, why not watch it while brushing your teeth? If there are a few songs that really get you going in the morning, stop listening to them on a weak phone speaker and blast them through your bathroom. 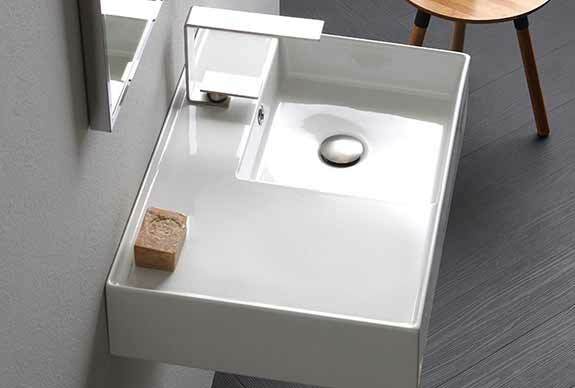 Floating vanities are becoming popular in many bathrooms. It's no wonder that floating amenities, like toilets and bidets, are also becoming increasingly popular. These versions typically don't cost much more than a standard version and are not as complicated as you might think to install. 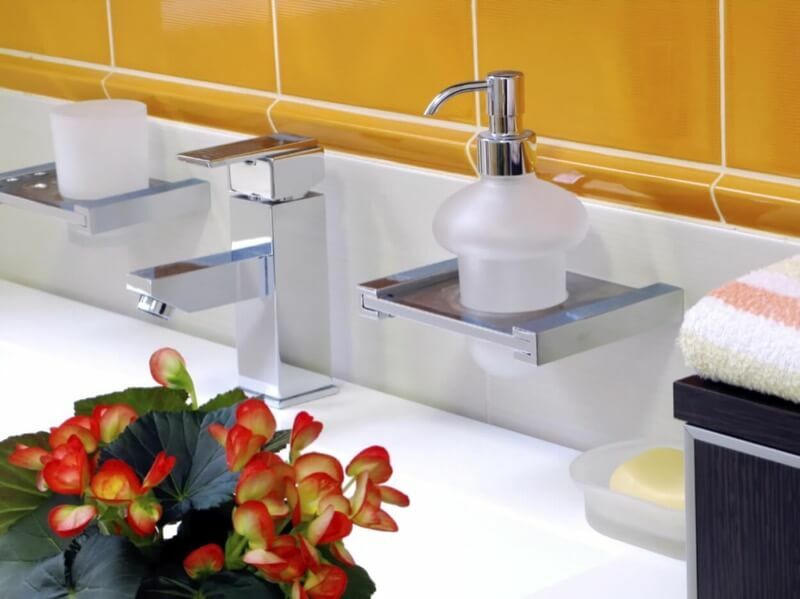 They also have several benefits that can improve your bathroom design. 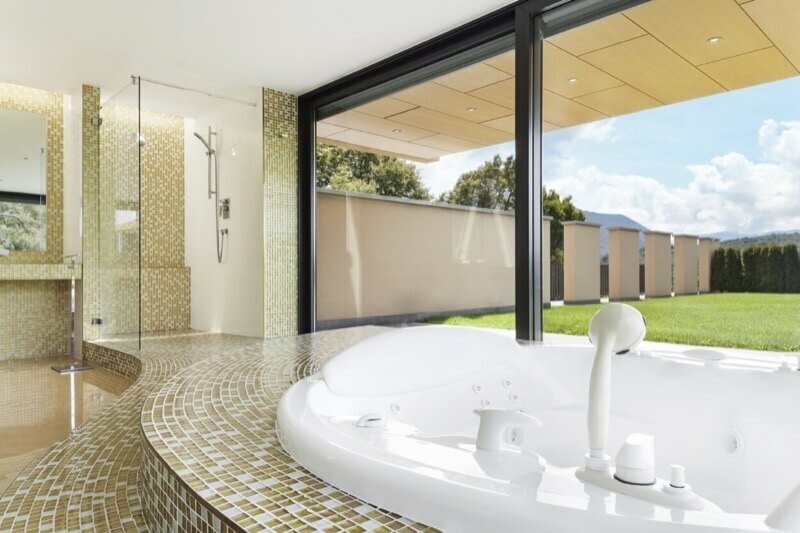 A floating amenity can do the following for your bathroom. Faucets have come a long way, especially in the past decade. 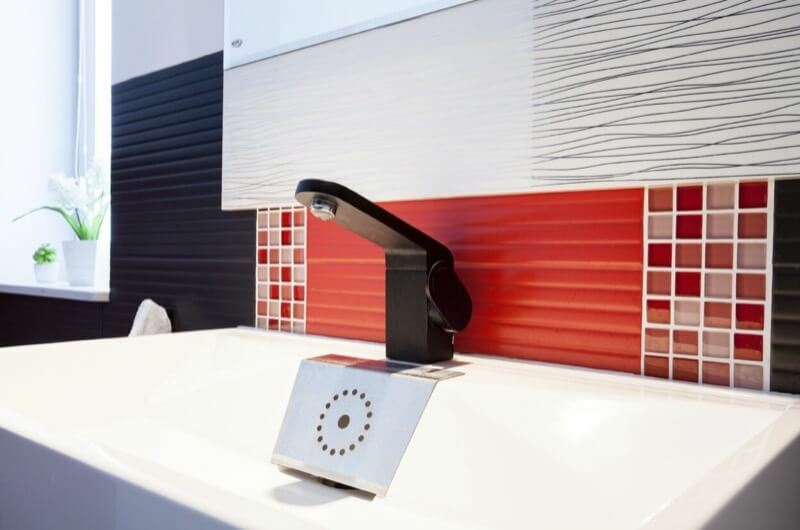 What used to be just a fixture that provided you with water to wash your hands and brush your teeth has turned into a technological wonder. Faucets are now motion sensored, control temperature, and even have mood altering light effects. If you have some room in your budget to include a high end faucet in your bathroom, here are some of their added benefits. 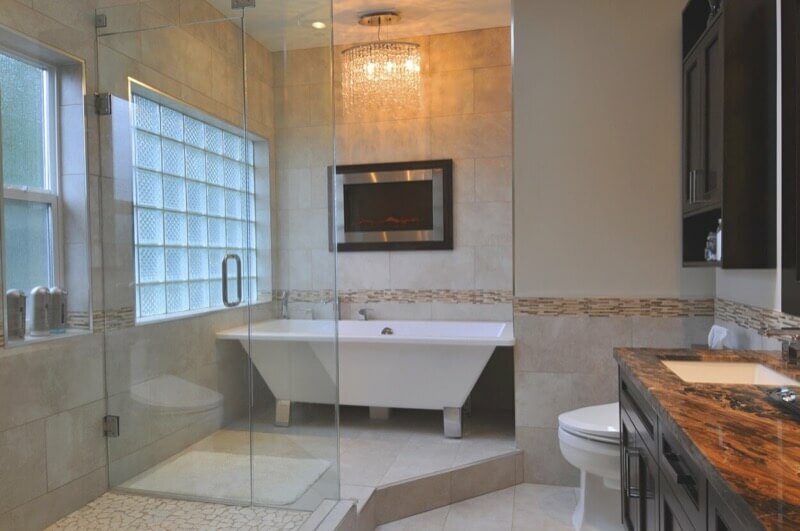 Shower designs have changed drastically since the simple shower stall was born. This can leave us a little confused as to what shower features are here to stay and which are fads that will quickly be overturned by new designs. While you shouldn't design your bathroom around current trends, it can be a little overwhelming when faced with so many ?must have? features. You don't have to live on a farm to have a country themed bathroom in your home. This once popular style has made a recent comeback, thanks to its timelessness and elegant simplicity. 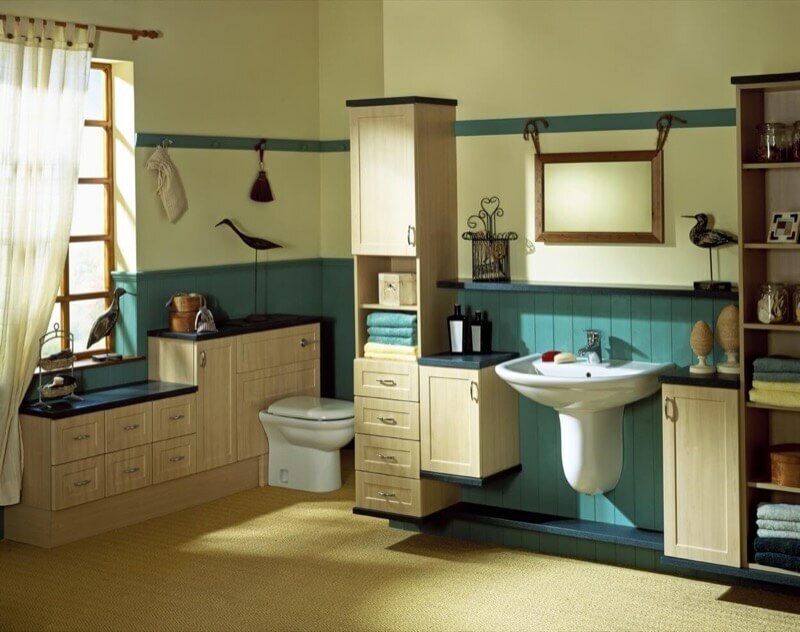 A country style bathroom isn't flashy or intimidating but is warm and inviting. This is achieved by using comfortable materials, soothing colors and accessories that also serve more than a decorative purpose. When people think of decorating their bathrooms with circles, they instantly think of polka dots. While there is a way that this can be achieved in a sophisticated manner, polka dots are usually reserved for bathrooms for teenagers. There are other ways to incorporate circle designs in your bathroom that will come off as a modernized design that will fit into many different bathroom themes. There's no rule book that you have to follow when designing your bathroom. 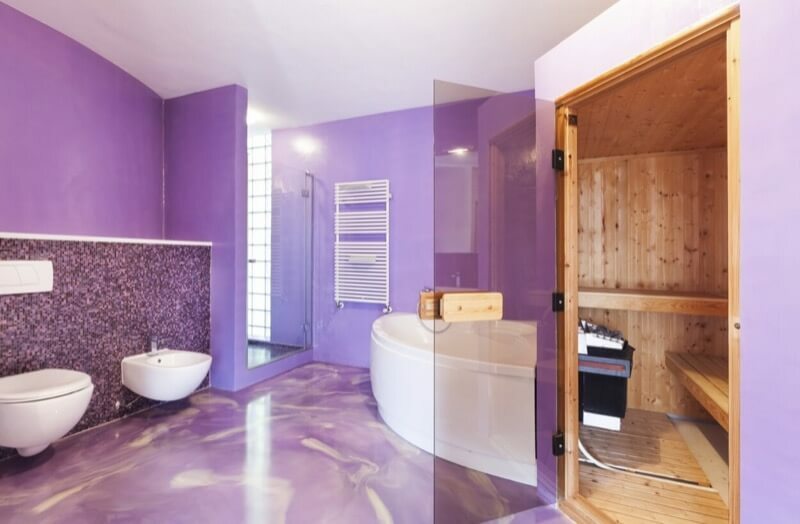 There are plenty of ways to think outside of the box and design your own one of a kind bathroom. 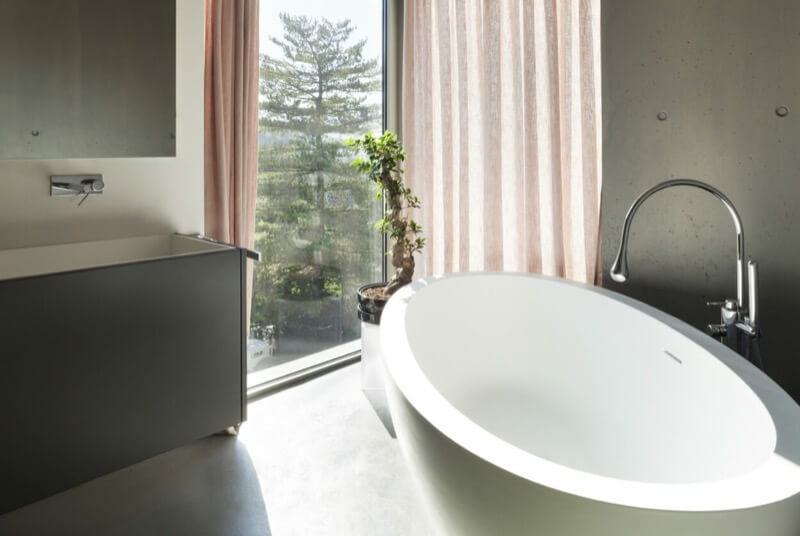 You may hear of plenty of guidelines and tips to design your bathroom around but the bottom line is that if it's your bathroom, you're in charge. Let's take a look at some bathrooms that broke the general design rules and ended up more fabulous than ever. 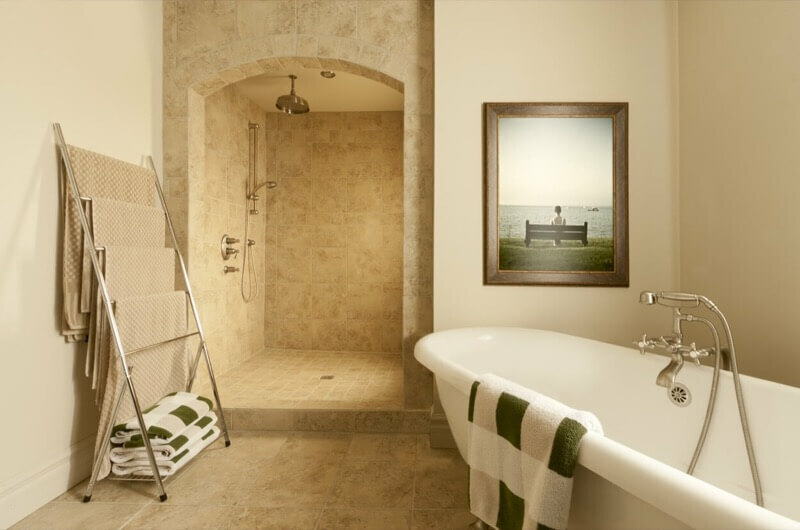 If your bathroom is a simple square or rectangular shape, then you have four corners that should be used in your layout. If your bathroom has a unique shape, you might be wasting valuable space by not utilizing each corner in a way that will give you the most usage out of your space. What can you put in a corner in your bathroom? You have plenty of options. What has been custom in other countries for years is finally becoming common in the United States: a toilet system that fits in your walls, leaving it concealed and out of view. But like any bathroom design option, it has its list of pros and cons. 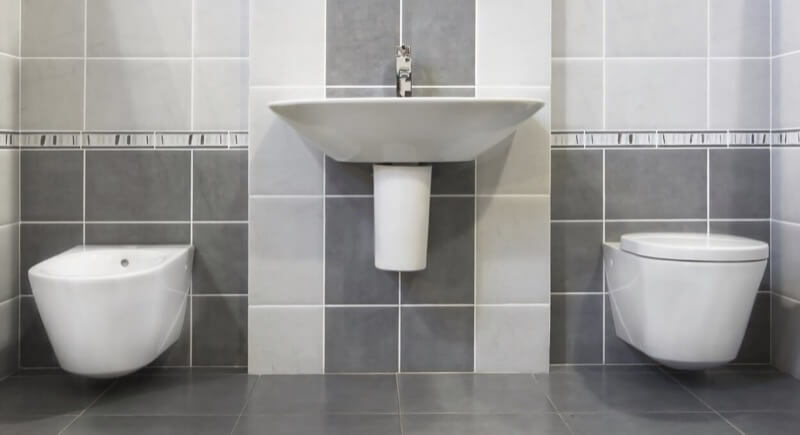 Let's take a look at how a concealed toilet tank could affect your bathroom design. 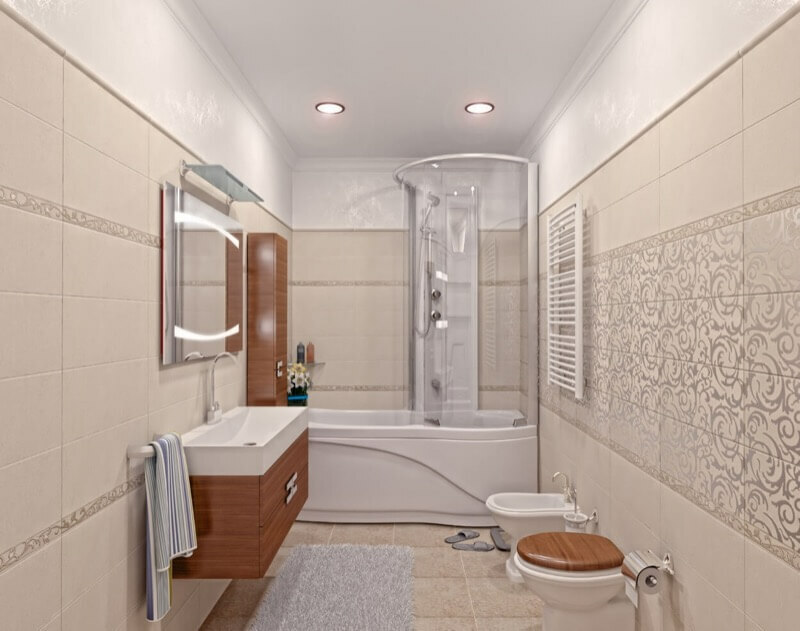 Redesigning your bathroom can be a fun and exciting experience. 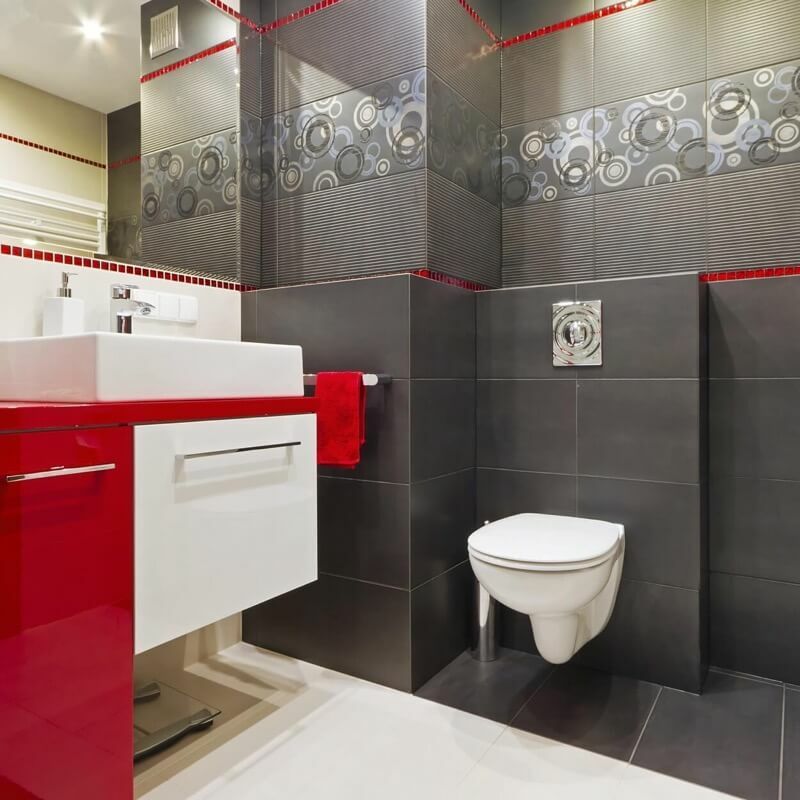 However, there are some rules and recommendations that you should follow when it comes to the less fun areas of bathroom design, like door size and ceiling height. Here's a basic guideline to follow when it comes to the not so fun numbers of bathroom design. 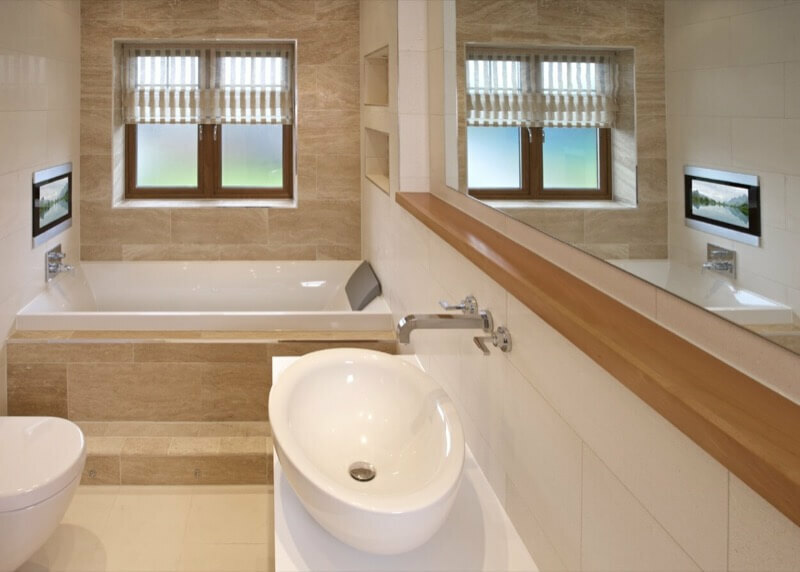 You may want to include seating in your bathroom for a number of reasons and if there is space available, it is certainly a wise way to increase the value of your bathroom. Depending on your needs, seating might be included in different areas of your bathroom. See which needs describe yours best to see where and how you should include seating in your bathroom. Should your bathroom match your personality? In a way, yes. You don't want to feel like a stranger in your own bathroom. But it's also an area that you can explore different design techniques in and feel free to go a little out of your comfort zone. How can you express your personality in your bathroom? There are several different ways and some can be executed in less than a day. 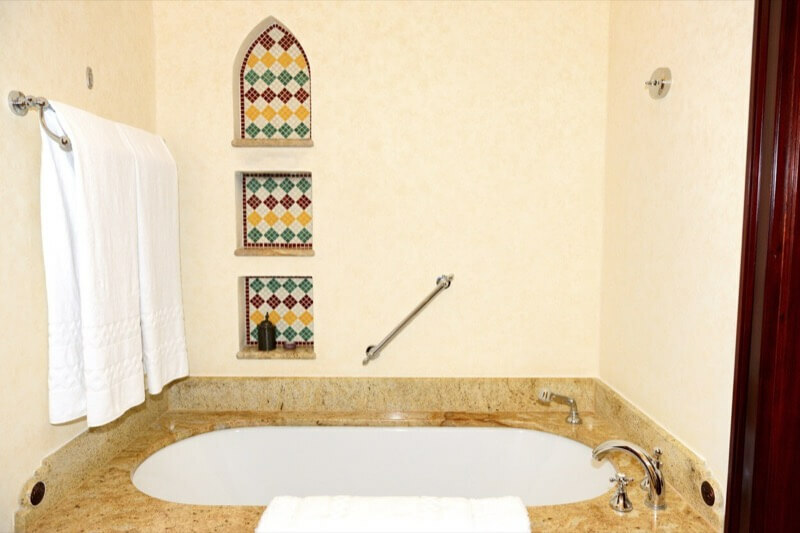 Wall tile with decorative patterns, trim, and borders can help to create a custom and designer look in your bathroom. A border can be used to frame a backsplash or wall mural. It can also add interest and a finished and tailored look to your overall design. These border tiles can be the same size as field tiles, or the other tiles on your wall, or they may have completely different dimensions, adding to its design effect. Just like bathroom styles and trends change, so do the popular colors that fill them. The last thing that you want to happen when remodeling your bathroom is having a color go out of style before it even dries. So to make sure that you chose the color that's perfect for you and your bathroom, take a look at this color choosing guide. Do you really need an accent wall in your bathroom? Of course your bathroom will still function without one but an accent wall can have a tremendous effect on the design of your bathroom. There isn't much more work involved and it can help to create a custom designer look in your bathroom. Still not sure if an accent wall is right for you? Take a look at these design benefits that an accent wall can deliver. 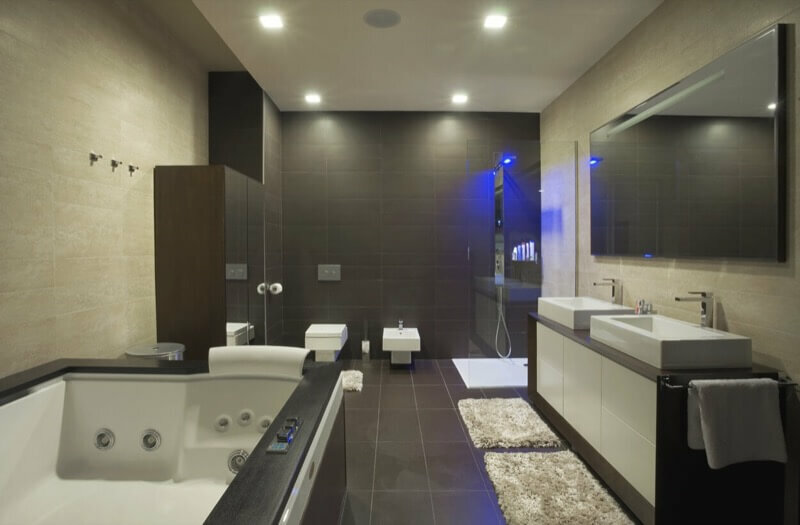 It's a question that you probably didn't realize you would have to answer when it comes to bathroom remodeling. Do you want a faucet with one or two handles? It's not always a matter of looks. Each version has its own list of pros and cons that can help you make a decision. If you want your shower to have something unique that sets it apart from the normal tiled shower, there are plenty of options to chose from. Showering each day should be a relaxing experience and when designing your dream shower, the sky should be the limit. Take a look at some of these great ideas for making your shower truly one of a kind. Feng shui is the Chinese-originated belief that your environment gives off energy that will have an overall effect on your own being. While feng shui is often dismissed, the concept actually makes a lot of sense. If your bathroom is messy, unorganized, and leaves you frustrated every time you use it, this will have a negative effect on your overall state of mind. If you find yourself spending more time looking for bathroom items than using them, it might be time for an organization overhaul. Part of bathroom organization is smart design but it mostly needs some creativity and commitment. If you're ready to stop living in chaos, take note of these organization tips that just may save your sanity. 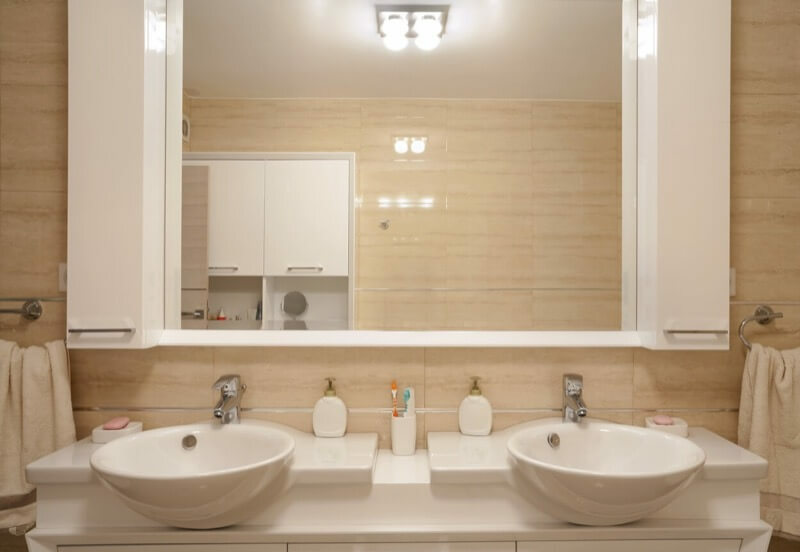 When looking at your list of desired elements in your bathroom model and comparing it to your budget, you might be discouraged or unsure of how to divide your funds appropriately. There are wise ways to spend your money in your bathroom that will earn you a large percentage of a return if you sell your house. There are also ways that could be a waste of your money when it comes to longevity in your bathroom. 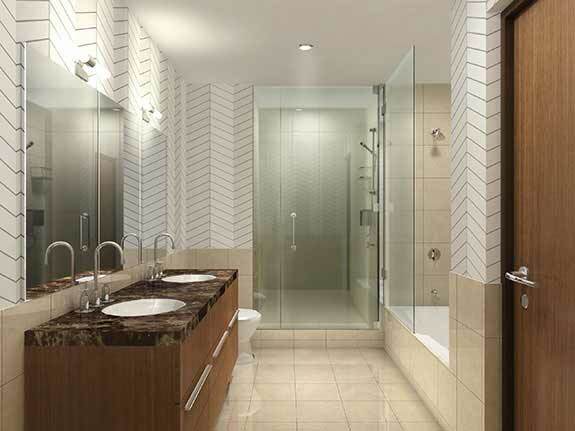 A checkerboard pattern has been a common element in bathroom design for as long as most people can remember. It is often associated with a vintage feel but there are plenty of modern ways to bring the pattern into your bathroom. What you may not realize though is just how much history is behind the familiar pattern. 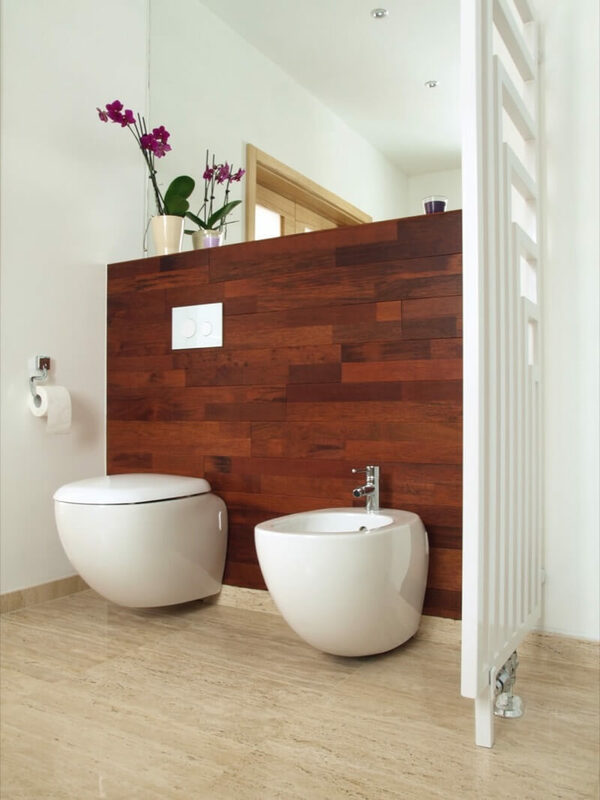 Lever or Button Flush Toilet - Which Is Ideal for You? Toilets have come a long way. At one time in history, it was new technology that a toilet even flushed. Now, the market has a ton of different options when it comes to how you want to flush your toilet. The button flush is fairly new but has quickly become the standard in some countries. 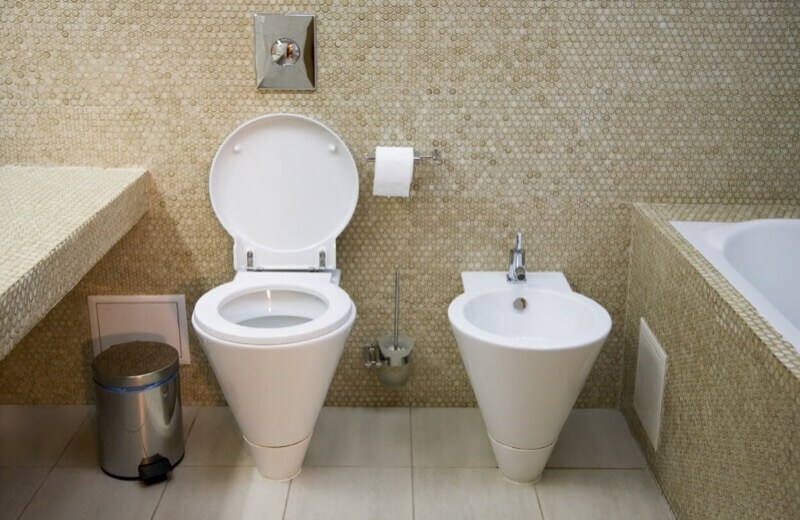 Most new toilets that hit the market have the button flush system and there are even ways to convert a toilet with a traditional lever to a push button flush. Designing the bathroom of your dreams is an exciting time. The last thing that you want to happen is for a mistake to come to the surface once the building process has been completed. By then, it's usually too late to fix an error that could have been avoided with a little more thought and brainstorming behind your design. We spend a lot of time in our bathrooms which can add up to a lot of water, electricity, and product use. This means higher water and power bills plus expensive trips to the drugstore. This also has a negative effect on the environment. 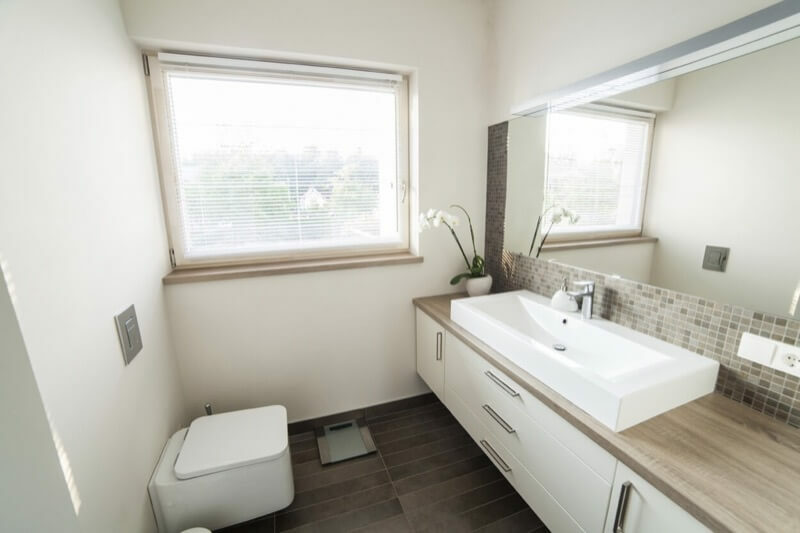 There are plenty of ways to do your part when it comes to responsible bathroom design that can have a positive effect on your bank account and help you to rely less on outside resources. 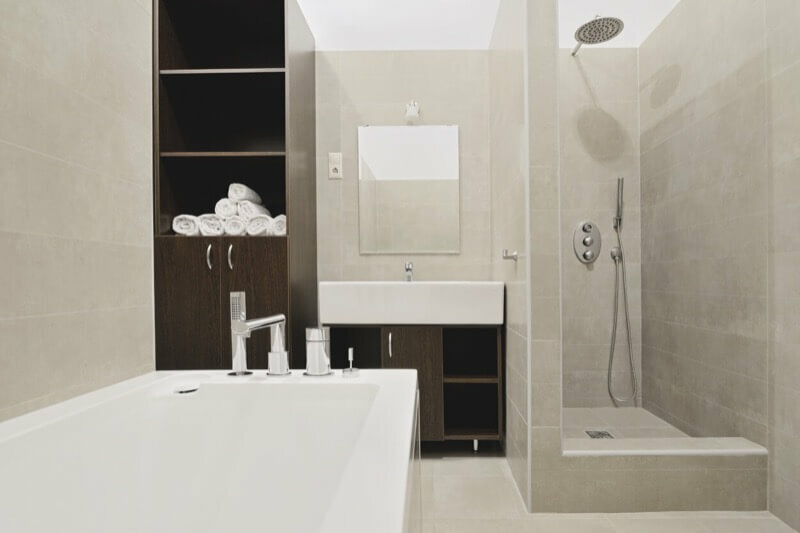 Whether you need to build a handicapped bathroom for a family member or you have a rental unit that requires one, there are some specifications that will be required by law. 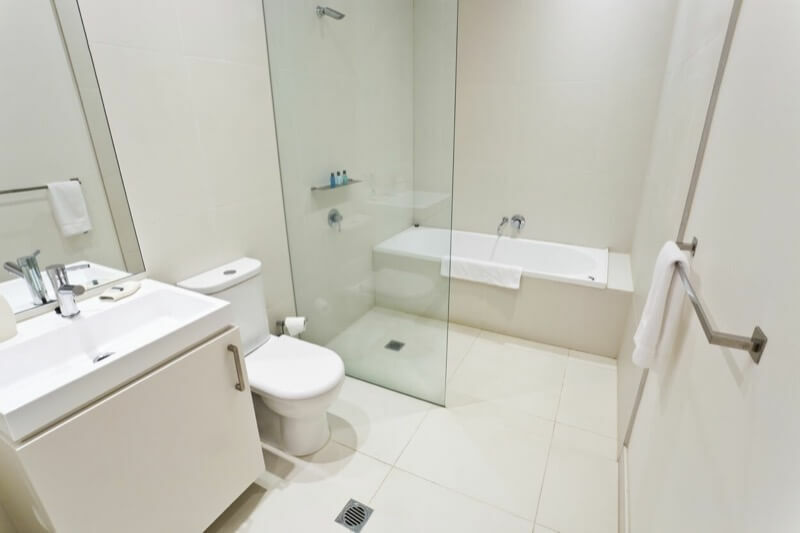 Your final result may vary depending on your personal needs but this will serve as a basic outline for what you need to consider when making a bathroom usable for anyone, despite their physical limitations.